Electricity plays an incredibly important role in our day to day lives, enough so that we have become more dependent on it than we often realize. The importance of power is something that is also easily overlooked, and we do not realize how much of our daily activity actually centers around it until the convenience is gone. When something goes wrong with your home or office electrical system, you want the problem resolved as quickly as possible, which is exactly why you should have a reliable Electrician on call. 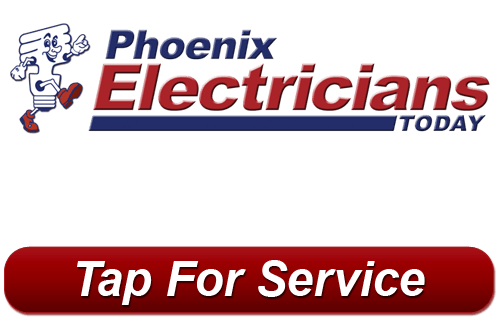 By giving Phoenix Electricians Today a call, you are getting the service of the most talented electrical technicians available to Sun City West. We can provide a variety of services to help keep your electrical appliances running smoothly and provide for your home’s safety. No matter your residential electrical needs, we can provide you with the right solution at the most affordable price. With over 20 years of experience serving the needs of Sun City West, we place a strong emphasis on quality customer service and are proud of the reputation that we have established as a reliable contractor. We aren’t just content with providing you with a job well done, but intend to make certain that we exceed expectations in all of our work, providing you with fast, friendly service, and leaving every workspace cleaner than when we arrived. We treat your home with the respect it deserves, and provide you with the best results. Your panel box is an important part of your home’s electrical system, and if something is wrong with it and it isn’t functioning effectively, then your appliances aren’t getting the power that they require to operate. As your panel box struggles to keep up with the demands made on it, your home will actually be utilizing more power than is necessary to make up for the difference. An inadequate box will cause your bills to increase, and even increase the likelihood of shorts and other complications. If you think that your home might be in need of a Sun City West panel upgrade, give us a call to see about scheduling a consultation. The last thing you want for your Sun City West home is a breaker problem that causes a fire or electrical shocks. Circuit breakers are the components that handle the overloads in your electrical lines. Breakers that trip over and over again or breakers that go bad should be troubleshooted. Your appliances may be overloading or causing surges in the lines or you may have bad breakers. 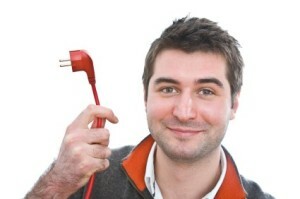 At Phoenix Electricians Today, we provide expert troubleshooting and breaker repairs. We’ll find out what’s going on with your electrical components and replace the breakers where needed. Just be sure to call soon because the last thing you want is to be faced with a dangerous situation. Are you in need of the service of a Sun City West electrician? Give us a call today at 623-209-5244, or complete our online request form.